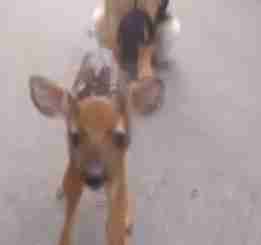 Friendship knows no bounds for a fawn who wandered out of the woods. 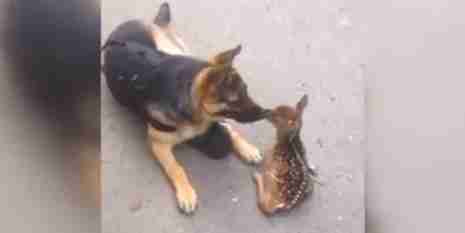 The little deer cuddled up beside a 7-month-old German Shepherd police dog named Iris, who seemed happy to meet him. 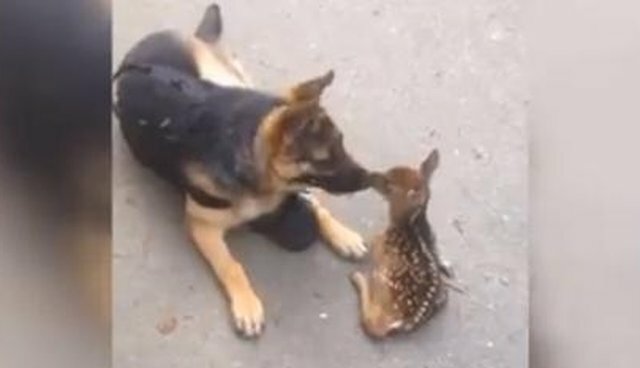 The internet loved the cross-species friendship caught on camera. 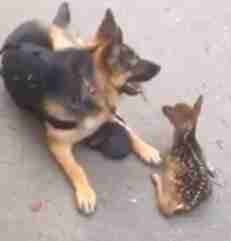 Some astute viewers worried about why the mother of the tiny deer wasn't there - we may never know the answer to this. But, according to the Humane Society of the United States, it's possible the mother was nearby, since mother deer only visit their young a few times a day to nurse them. 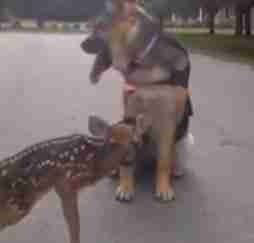 One thing we do know is that deer are too often in harm's way when their world meets the ever-expanding human world. Learn what to do if you see a wild baby animal in need here.